sites and by roads and paths. 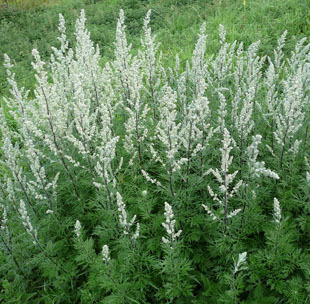 Mugwort is a slightly aromatic perrenial herb, growing up to 1.5m. 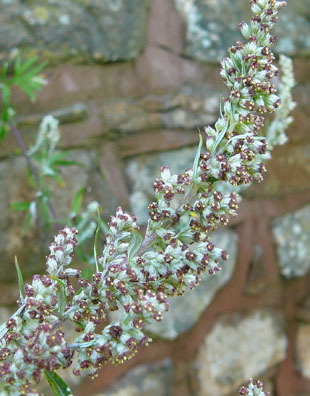 Flowerheads are oval and up to 4mm. 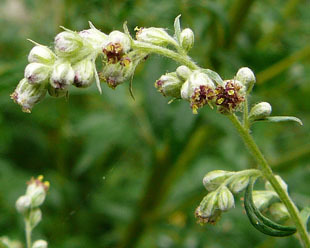 Bracts are lanceolate and woolly. 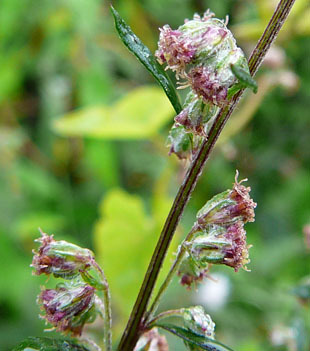 Ray florets are female and disk florets are hermaphrodite. Both are yellow or brownish purple. Leaves dark green and pinnately divided. 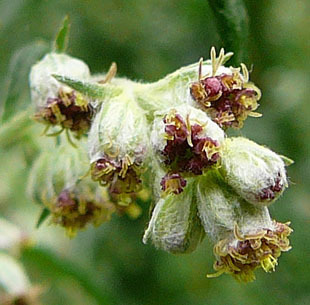 The lower surfaces are grey and woolly. 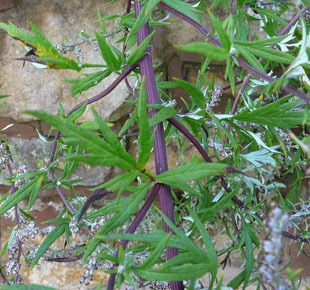 Stems are reddish, grooved and angled.